Snagglebox is a blog written by an Australian mother of children with autism. Bec gives advice and offers support to parents and teachers of autistic children. She currently has an AMAZING 69 booklet for sale on TpT - Autism Preparation Kit. It is full of practical information for teachers, what to expect, helping transition, the first few weeks of school and extra resources. I only wish someone had given me the opportunity to download this booklet when I had an autistic child! It would have been so much help! Bec also has a free tactile ideas booklet for children who need to keep their hands busy! Robyn is a 4th Grade teacher in Ontario, Canada. I always love finding 3rd Grade and above blogs to follow! She is just starting to blog and has lots of free items on her TpT. This is my favourite freebie!!! As she is new, she would love a few more followers, comments on her blog or feedback on her freebies! If you have a spare minute, share the love! Liz at Bayside Teacher is another Australian Teacher. 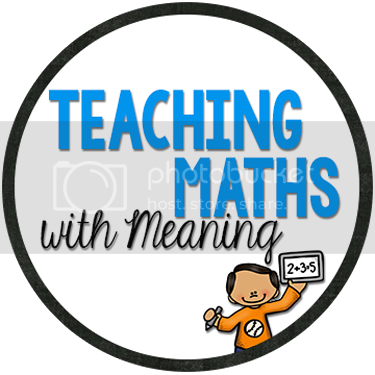 She has some great maths packs for free and for sale on TpT. This is the one I downloaded! I've already printed it out and it is ready to use! And of course FREE! She's offering a flash sale every time she sells 10 items! 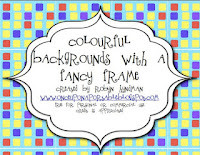 Many of you might have seen this blog before - but she has a terrific post and freebie at the moment. A fabulous maths ideas - and best yet - it is a freebie! Read more about Spin That Number! This is a fabulous document from Leah Chamberlin on TpT. 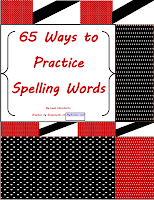 Another great freebie is Sixty-Five Ways to Practice Spelling. Download and rate today! Here is another great activity that is a freebie from Primary Partners. 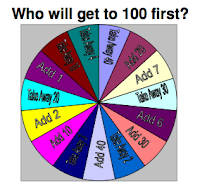 I already have 100's charts laminated (used counters to move), so then I used a paper clip and a pencil as a spinner and we played this game as a "Race to 100". The class LOVED it! On Thursdays I teach a streamed maths group (about 2nd Grade level). I hope you enjoy all! Hi Alison! Bec from Snagglebox here. 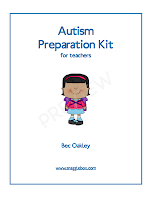 Thanks for the great feedback about the autism kit, I really hope it's useful to anyone with autistic kids in their classroom. You have a wonderful blog here! Thanks Bec! Yours has great info too!